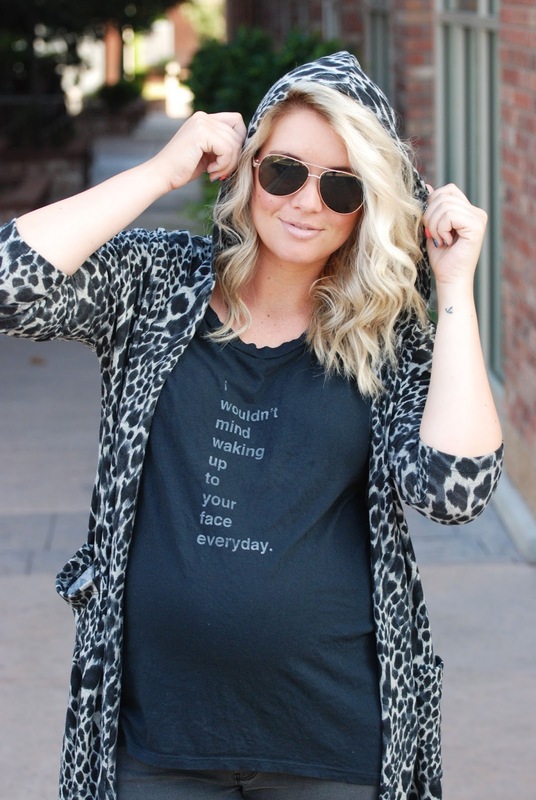 LEOPARD CARDIGAN MATERNITY STYLE & #WIWT LINK UP! Is there anything better than more leopard in my life? I think not! 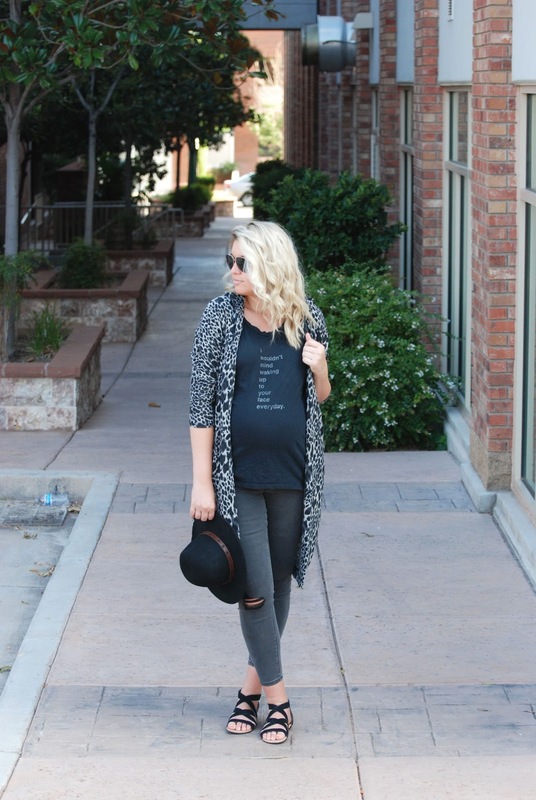 This cardigan along with all Be More Collection's new fall arrivals are to die over! The cardigans, blazers... ya know... all the yummy layering items. Check it out, browse around, and fall in love. Oh, and use code "Redcloset20" for 20% off your purchase!! Shop on!! Today's pick is The Miller Affect... and this outfit is too cute! The geek shirt down to the oh so cute button up denim skirt. I love how she paired these together! !